We were looking for a bed & breakfast in Sozopol without the breakfast and here they call them ‘quarters‘ .There are signs everywhere in coastal towns so you could just walk along a side road or even approach a person sitting by the side of the main road and you would end up with a room and usually much cheaper than a hotel. Our friend Steve has had quarters in Sozopol for a few months & luckily when we asked there was space for us too. Our hosts Milka & Georgi run a b&k (bed & key) during the summer months and then the rooms revert back to their home after September. Milka offered us a choice of rooms & I made a quick mental note of the pros & cons for each. In the end we chose the one that had an en-suite & the other one that had a nice picture of a disappointed horse above its bed had to be declined. Like many Bulgarians they are very curious to know everything about us. Milka sat us down & got right down to the business of interviewing us. The main interrogation concerned our lack of children, above and beyond any issues about the room & if we could be trusted with a set of keys or whether we were allowed to have pets or hot food or friends in the room at the same time as us. We have been here many times, conversationally speaking & knowing that Milka was not going to be satisfied with any answers, I tried to STOP her with a quick blurt of “RIGHT then can we talk about money NOW” That sort of worked, although the topic of why people (Bulgarians especially) are so troubled with our lack of ‘a brood’ stayed with us & our various social engagements over the weekend. 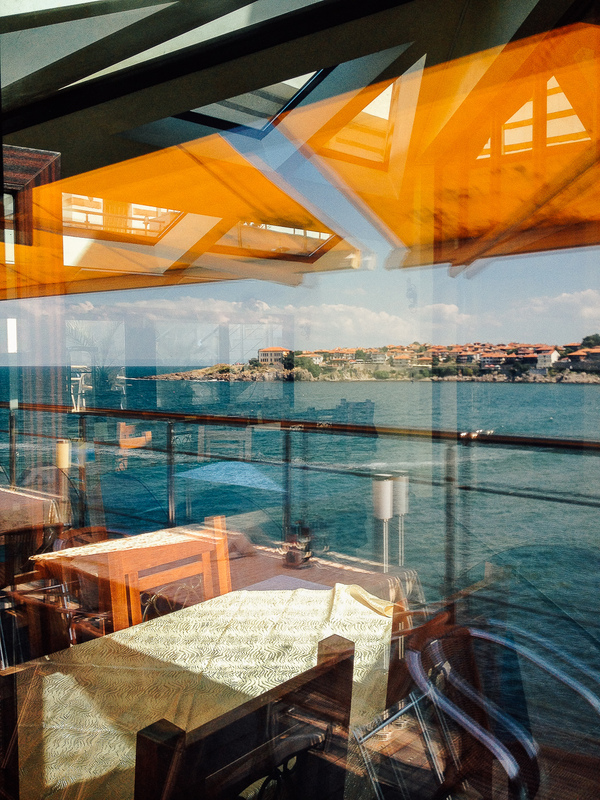 Our informal living quarters are on the opposite side of Sozopol to the side we know. Keep up! and thus and therefore gave us an opportunity to find new places to play / hang out / eat and swim. Soz as it’s affectionally known is bursting with people from July through August and therefore every building has a makeshift shop clipped or gaffer taped to it’s front, selling inflatable sea life or hats or sunglasses, the list is endless and repeats along every main street like a copy & paste game. We had some pretty random happenings too. On an evening out in a seaside bar we heard an electric strimmer above us! in fact a drone complete with flashing lights, and that’s the 3rd time recently we have seen drones just hovering above in an unwelcome not so much of a ‘do you mind if we…’ ‘film you?’ kind of a way. Another random thing was bumping into a couple of Korean girls who were on a day trip away from ‘Korean camp’ in Burgas. Well nobody told us it had one of those! Here are some photos to show what we done (oh how that bad use of English stings!) And thanks to Steve for sorting out our quarters and being fun to play with over the weekend.